Jorge Martin: I will stress two different points in relation to this. One is that, in deciding one's position in relation to Venezuela, one cannot focus on the details of the constitution or who broke this or that rule, but on fundamental class issues. What class interests are represented by this opposition? And is the victory of this opposition a step towards democracy, an advance of the interests of the working class and the poor or not? It is clear that it is not. It will be a massive setback, and this is the starting point for any analysis. I will give you one example. A few years there was a very strong and vibrant workers' control movement, particularly in the basic industries in Guayana. 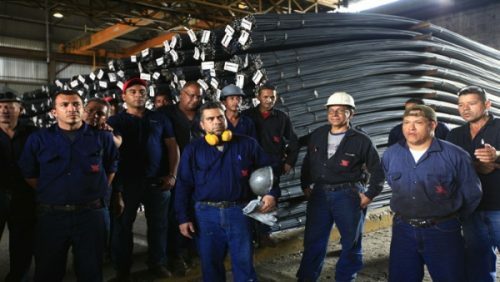 Chávez had a weekend meeting with worker representatives from all these huge steel and aluminium factories like SIDOR, ALCASA, VENALUM, and the workers' demand was for workers' control. 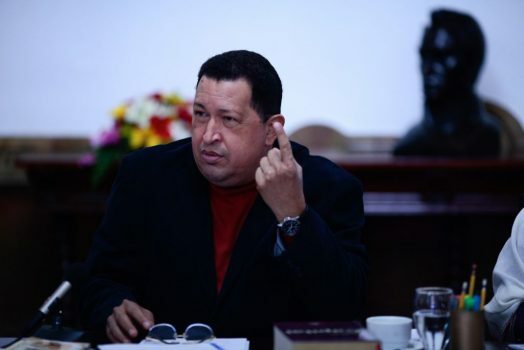 And Chávez agreed, he said "I stake my future with the working class", ("me resteo con la clase obrera"), and he appointed as directors of all these companies workers that had been chosen by the workforce. This was not a perfect example of workers' control, there were many problems, but there was an attempt to move in that direction. But now none of these workers' directors are in place. They have all been replaced, in general by military officers. In many cases they are extremely corrupt and they have suppressed the revolutionary initiative of the workers in these factories. This creates demoralisation, scepticism, the withdrawal of people from the movement, and it weakens the Revolution itself. JM: This is happening at all levels. For instance after the December 2015 opposition electoral victory there was a big movement from the rank and file and left-wing chavismo. People were very critical. They wanted more participation, they were were blaming the leadership for the defeat. 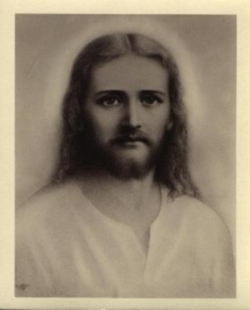 Amongst other things, the candidates had not been chosen from below but appointed from above. 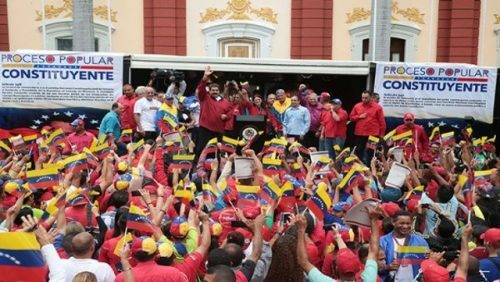 Maduro reacted by talking with these people that were demonstrating outside Miraflores palace, and he convened the Communal Parliament and later the Congreso de la Patria ("Fatherland Congress"). But these initiatives have ended up being empty talk-shops in which people go to the meetings, they are lectured by different government or PSUV officials, they are never allowed to have a say, and above all they are not allowed to make any decisions. So people have become very demoralised and sceptical about these bodies. This is one factor that is now bearing down on Maduro's call for a Constituent Assembly, with people wondering whether they will see a repeat of these scenarios or have a real chance to elect their own representatives. But at the same time, when you look at some of the issues that have been put on the list for discussion for the Constituent Assembly, there is no indication that the idea is to go for a radicalisation of the Revolution. For example, there is one point which is about the economy, which basically says that Venezuela needs to build a "post-oil" economy that works for all and with all the different property forms that exist today. That means the maintenance of a capitalist economy. The government has made an appeal to business owners to participate in the Constituent Assembly. They will have their own representatives elected to this Assembly. JM: It is difficult to say. 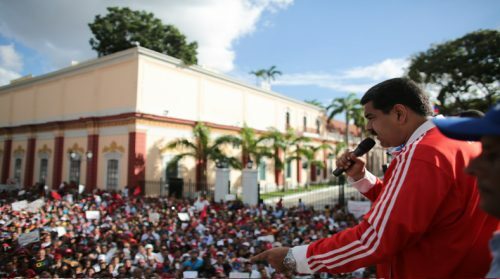 I would say the main problem in Venezuela, which is at the root of everything, is the fact the Bolivarian Revolution has lost a lot of support, and this we need to identify why this has happened. This was revealed in the National Assembly elections in December 2015. This was the first time, other than the constitutional referendum of 2007, that the Bolivarian Revolution lost an election contest. The reason for this is not so much a shift of people from supporting chavismo to supporting the opposition, but a lot of people abstaining. The Bolivarians lost about a million votes between the presidential and the National Assembly elections, while the opposition's increase was much smaller. On the one hand this is explained by the economic crisis. But not just the economic crisis in itself, also the government's handling of the economic crisis. Many people cannot see whether the government has got a strategy or not. One day they are railing against the economic war carried out by private businesses, the next day they are calling on private businesses to collaborate, giving them money, making concessions, subsidies and so on. 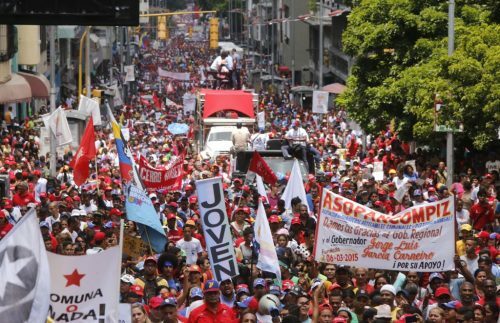 There is also the impact of corruption, bureaucracy and reformism within the apparatus at the top of the Bolivarian Revolution which has created, as I said before, scepticism, pessimism and even cynicism among layers of people who previously supported the Revolution wholeheartedly. And this is the main problem. Most people know that they are going through a difficult situation, and they are quite prepared to accept that, so long as they do not see chavista leaders and officials living in luxury. This goes against the grain of the Bolivarian Revolution. The situation can only be turned around by measures that really eal with the economic problems of the country. And this means a radical shift in the government's policies on this question, as well as a change in the way that politics is conducted. Right now there is a very bureaucratic, top-down way of doing everything. Even though there are big mobilisations, the people are not participating directly in their organisation, or in discussing the strategy of the movement. They are just allowed to respond, or not, to calls made from the top. So I think that, unless and until these fundamental questions are solved, the perspective is one where this government will fall. Either overthrown by direct force by the opposition, or defeated in the elections. Maduro has said that, rain or shine, presidential elections will take place next year. But they will take place in very bad conditions and it is very likely, all things standing as they are now, that chavismo will be defeated.